Welcome! Now get some swag. Well done! You're hooked up and sending us API requests. That's awesome. 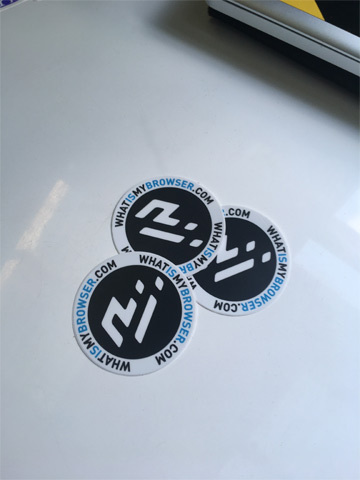 We'd love to send you some sweet vinyl laptop stickers to say welcome and thanks for joining us. All customers on a paid account can get some (Standard, Pro or Enterprise) - to claim them, make sure you've entered your payment details and then simply send us a message from your account on the accounts system. Be sure to include your name and international mailing address, and we'll pop some in the mail for you! If you're an enterprise customer who's been with us for more than one month*, we'll also send you a special coffee mug as well. Thanks again for giving the API a spin, we hope you'll stick around. We use StickerMule for making our high quality stickers and we'd love to give you a $10 credit for StickerMule that you can use on your own order!